« Catalytic MOFs in a Click! 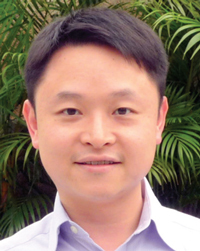 Kenneth Lo’s Perspective on using luminescent transition metal complexes as noncovalent probes for biomolecules….. The rich photophysical properties of luminescent inorganic and organometallic transition metal complexes, such as their intense, long-lived, and environment-sensitive emission, make them excellent candidates for biological and cellular probes. In this Dalton Transactions Perspective, Ken Lo and colleagues review examples of biological probes derived from luminescent transition metal complexes with a d6, d8, or d10 metal center. Also discussed is the possible use of luminescent transition metal complexes as photodynamic therapeutics for various diseases or even light-activated drug release moelcules.